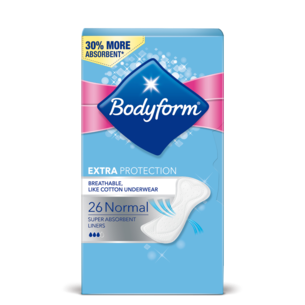 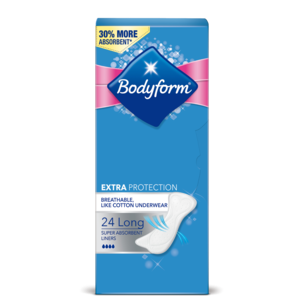 Bodyform Classic Daily Liners are great value and provide you with confidence everyday – keeping you feeling dry, fresh and secure. 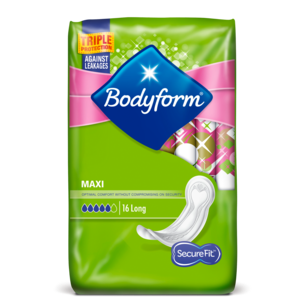 Bodyform Classic Daily Liners have Pro Skin Formula. 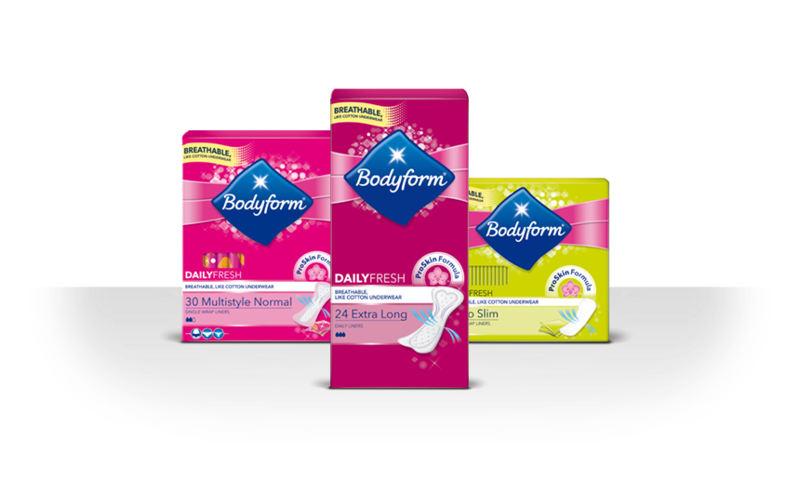 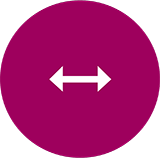 The topsheet layer contains a mild lactic acid, known to maintain the pH balance of a woman’s intimate area. 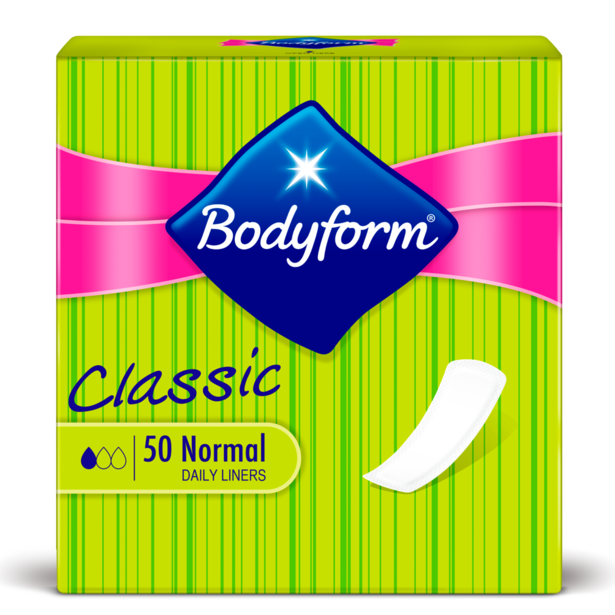 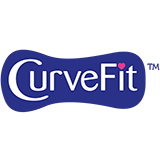 Bodyform Classic Daily Liners have CurveFit technology, making them more flexible and absorbent.